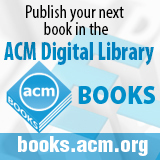 Welcome to the March 12, 2014 edition of ACM TechNews, providing timely information for IT professionals three times a week. The creators of the World Wide Web, including Sir Tim Berners-Lee, worry that companies could destroy the open nature of the Internet in their quest to make more money. The World Wide Web Foundation estimates that every minute, billions of connected users send each other hundreds of millions of messages, share 20 million photos, and exchange at least $15 million in goods and services. "I spent a lot of time trying to make sure people could put anything on the Web, that it was universal," Berners-Lee says. "Obviously, I had no idea that people would put literally everything on it." However, despite all of the advances brought about by the World Wide Web, he says people need to realize that a current battle around so-called network neutrality could permanently harm the future of the Web. "The Web should be a neutral medium. The openness of the Web is really, really important," Berners-Lee says. "It's important for the open markets, for the economy, and for democracy." He plans to spend the next year working with Web consortiums to spread awareness of these issues. "It's possible that people end up taking the Web for granted and having it pulled out from underneath them," he says. Enrollment for computer science bachelor's degree programs in the U.S. jumped 22 percent last year, according to a sneak peek of the Computing Research Association's (CRA) 2013 Taulbee Report, which will be published in May. The data is based on the responses of 123 departments CRA surveyed in 2012 and 2013. The survey also found that the number of degrees awarded rose 0.9 percent and new enrollments climbed 13.7 percent. Meanwhile, CRA says 1,991 Ph.D. degrees were awarded in 2013, the highest number ever in a single year and an increase of 6.8 percent from 2012. In addition, other reports suggest hiring for computer science professionals also is on the rise. A recent PayScale report found that computer engineering ranked sixth and computer science eighth among 129 college majors in terms of earning potential. Other studies also have found there is still high demand for skilled technical workers in some areas, such as Boston and San Francisco. As the Internet approaches its 25-year anniversary, the Pew Research Center has released responses from science and technology experts about what the future Internet might look like. Pew had asked a group of experts in various fields what impact they thought the Internet would have in 2025 on social, political, and economic processes. Experts predict the Internet will be thoroughly embedded in homes and integrated into people's daily lives, with some noting a rise in wearable technology, massive open online courses, and business model changes. "We may literally be able to adjust both medications and lifestyle changes on a day-by-day basis or even an hour-by-hour basis, thus enormously magnifying the effectiveness of an ever more understaffed medical delivery system," predicts University of California, Berkeley software developer Aron Roberts. Massachusetts Institute of Technology senior research scientist David Clark says devices will become increasingly autonomous. "More and more, humans will be in a world in which decisions are being made by an active set of cooperating devices," Clark says. Google chief Internet evangelist and ACM president Vint Cerf says business models will need to adapt to the economics of digital communication and storage. He also says, "We may finally get to Internet voting, but only if we have really strong authentication methods available." Former U.S. Secretary of Defense Leon Panetta on Tuesday said a large-scale cyberattack against U.S. infrastructure is "the most serious threat in the 21st century." Panetta emphasized the need for improved cyberdefense and public education about cyberattack risks and said a large-scale attack could "devastate our critical infrastructure and paralyze our nation." He compared the impact of a cyberattack to the damage caused by Hurricane Sandy. "We have to take steps to better defend ourselves against this threat," Panetta said. "The American people need to understand that that this is not about hacking and identity theft, it has the potential for a major attack on the United States." Meanwhile, the U.S. Justice Department's Richard Downing warned that international cybercriminals are becoming more involved with organized crime, which makes their activities harder to stop. Downing also said extradition difficulties and evidence gathering are obstacles to stopping cybercriminals, particularly in less technically-advanced countries. In addition, Georgetown University's Catherine Lotrionte estimated that losses from international intellectual property theft average about $300 billion a year. A group of women in Congress recently met with business leaders at an event hosted by the nonpartisan Million Women Mentors to discuss how to encourage young women to enter science, technology, engineering, and mathematics (STEM) fields. "There is a disconnect between positions America's workforce needs and the fields young women are pursuing," says Rep. Carolyn B. Maloney (D-NY). Girls need mentorship and hands-on education that will help them view STEM careers as a possibility, female leaders say. In line with that goal, Reps. Debbie Wasserman Schultz (D-FL) and Kay Granger (R-TX) have introduced the 21st Century STEM for Underrepresented Students Act. The bill would use National Science Foundation grants to fund research on STEM programs that target elementary and middle school students who are typically underrepresented in STEM fields. "High school and college are often too late to expose students to STEM," says Wasserman Schultz. "That effort must start earlier, and target underrepresented students such as girls, people of color, and those who have historically faced economic or other barriers to STEM achievement." In addition to legislation, congresswomen are working with corporations to build mentorship opportunities for young women. A new computational tool could give scientists a better understanding of the functional units critical to the performance of the biochemical pathways that govern biological processes. Developed by researchers from North Carolina State University (NCSU), the algorithm can identify which metabolites, biochemical reactions, and enzymes are related to each other, group them into functional modules, and identify whether an individual component plays a role in multiple modules. The algorithm also characterizes how the relationships between different modules and individual components may change over time and under different internal and external conditions. The input for the algorithm comes from using dynamic models to observe changes in concentrations of metabolites, biochemical reactions, and enzymes under various conditions. The algorithm then processes the data to establish primary and secondary relationships between all of the constituent components. The software should enable life scientists to narrow down key players and target research to areas that are most likely to improve their ability to understand and control biological processes, says NCSU professor Cranos Williams. "This has applications in everything from biomedical research to agriculture to biofuels," he says. Researchers at Saarland University have developed a way that Google Glass can be used to protect data. Saarland professor Dominique Schroder and colleagues have combined Google Glass with cryptographic methods and techniques from automated image analysis to create a software system called Ubic. The research team says people could withdraw money securely from a cash machine using Google Glass and the software system. A customer would identify himself to the cash machine, leading to a request for a public key, which is then used to encrypt a one-way personal identification number (PIN) and seal it with a digital signature. The result on the screen is a black-and-white pattern, a quick response code. "Although the process occurs in public, nobody is able to spy on the PIN," Schroder says. As long as the secret key needed to decrypt the encryption by the public key is safely stored on Google Glass, the money would be safe. The researchers also are developing a way for a group of people all wearing Google Glass to simultaneously read the same document with encrypted text, but in their fields of vision they can only see the text passages that are intended for them. The European Commission has created a new campaign to attract women to the information and communications technology (ICT) sector. Launched as part of the recent International Women's Day, the campaign seeks to encourage more young women to study technology and pursue careers in the industry by celebrating role models and highlighting inspiring women in online videos. Women are needed to help ease the unemployment problem in the European Union, according to technology commissioner Neelie Kroes. There were more than 400,000 job vacancies in the ICT sector in February, but women account for less than 30 percent of the workforce. The number of job vacancies could swell to more than 500,000 by next year and more than 900,000 by 2020. Women represent 19.2 percent of bosses in ICT, compared with 45.2 percent of management in other industries. The number of men studying technology at the university level is stable, but the figure is falling for women. "ICT is no longer for the geeky few--it is cool, and it is the future!" Kroes says. Scientists are advancing new wireless methods of harvesting power from the environment, people, and devices themselves that will not interfere with everyday activities. One approach to wireless power is thermoelectricity, in which electrons create a current through temperature change. Because the human body is a consistent source of heat, companies are beginning to release thermoelectric clothing, shoes, and sleeping bags that can charge devices. However, harvesting thermoelectric heat for electricity is slow and inefficient and because it generates more electricity through large temperature differences, power slows considerably when the surrounding air temperature is close to body temperature. As a result, thermoelectricity is not the best option for devices that use a lot of power, but might be ideal for devices such as fitness trackers and embedded medical monitors. Another approach is piezoelectricity, through which materials such as quartz create electricity when agitated so they vibrate at a target frequency. Piezoelectricity can theoretically capture unlimited available energy, but attuning piezoelectric materials to specific frequencies can be challenging and current materials cannot obtain enough energy for mobile computers. Biomechanical energy uses body motion to move small power generators, but the technology is currently bulky and perhaps inconvenient. Another wireless power technology is mobile solar power, through which certain materials create electricity when exposed to sunlight. University of Rochester computer science students have developed Vowel Sounds, software designed to address some of the challenges voice students face. Voice students currently learn how to sing their vowels by listening to the teacher sing and trying to match the sound. Vowel Shapes automatically analyzes the vowel sounds produced by a singer and generates ovals that represent each different sound in real time. The oval shapes generated by the application change depending on the sound. The program first records the teacher singing the required vowel sounds and generates a library of sounds the students need to practice. The student tries to match the teacher's sound, and the program automatically generates an oval shape on the screen shown in yellow. The shape of the oval dynamically changes as the students vary their vowel sound, and when there is a match, the color of the oval changes to green. The researchers found that students were able to produce vowels more effectively in less time using Vowel Sounds than using traditional methods. In the future, the researchers want to improve the signal-to-noise ratio, and they want to continue to experiment with the point at which the program decides the vowels match and the oval becomes green, known as the tolerance level. Indiana University-Purdue University Indianapolis (IUPUI) researchers recently conducted a study revealing new information about the motor circuits of the brain that could help those developing therapies to treat conditions such as stroke, schizophrenia, spinal cord injury, or Alzheimer's disease. "Using the tools of artificial intelligence, specifically computer vision and image processing, we are able to visualize and process actual neurons of model organism," says IUPUI professor Gavriil Tsechpenakis. "Our work in the brain of a model organism--the fruit fly--will help us and other researchers move forward to more complex organisms with the ultimate goal of reconstructing the human central nervous system to gain insight into what goes wrong at the cellular level when devastating disorders of the brain and spinal cord occur." The study, which processed images and reconstructed neural motor circuitry in the brain, involved collecting and analyzing data on minute structures over various developmental stages. "Dr. Tsechpenakis made it clear to us that different perspectives are necessary, and the ability to think about a problem is more valuable than the education and training you've had," says researcher Rachel Stephens. "Before I joined the lab, I hadn't really thought about how computer science could help heal." The U.S. National Institute of Standards and Technology (NIST) wants to develop a framework that can be used by all industries to understand how to use and measure the results from data science and big data projects. To start the project, NIST is planning a symposium with big data specialists and data scientists to better understand the challenges around the new disciplines. "Data science is pretty convoluted because it involves multiple data types, structured and unstructured," says NIST's Ashit Talukder. "So metrics to measure the performance of data science solutions is going to be pretty complex." NIST plans to seek feedback from industry about the challenges and success of data science and big data projects with the goal of developing a common taxonomy with the community that can be used across different domains of expertise. Technical University of Berlin professor Volker Markl says the field of data science is challenging in its requirement to both understand the technologies to handle the data, such as Hadoop and R, and the statistics and other forms of math needed to extract meaningful information from the data. The University of New Hampshire InterOperability Laboratory (UNH-IOL) is working to improve the image of computer science by training the next generation of science, technology, engineering, and mathematics (STEM) workers to utilize various skills and disciplines. The nonprofit lab, equipped with gear from about 150 member companies, employs 120 graduate and undergraduate students, 20 percent of whom are women. Students from various majors apply to work in one of the lab's 20 consortia, which range from IPv6 to digital living. UNH-IOL director Erica Johnson says non-computer science majors have made significant contributions to the lab, with philosophy students, for example, offering valuable insights. Many young women at the lab have career interests outside technology and believe that computer skills do not rule out other careers. Lauren DiBella, a graduate student with an IPv6 focus, graduated with a bachelor's degree in sociology and justice studies, and plans to use her lab experience to enter the technical side of criminal justice. Students are aware of the gender imbalance in computer science, and note that addressing the issue without offering special treatment to women is a challenge. The lab offers female role models who work in STEM fields, and students say more women have been applying and working for the lab in recent years.